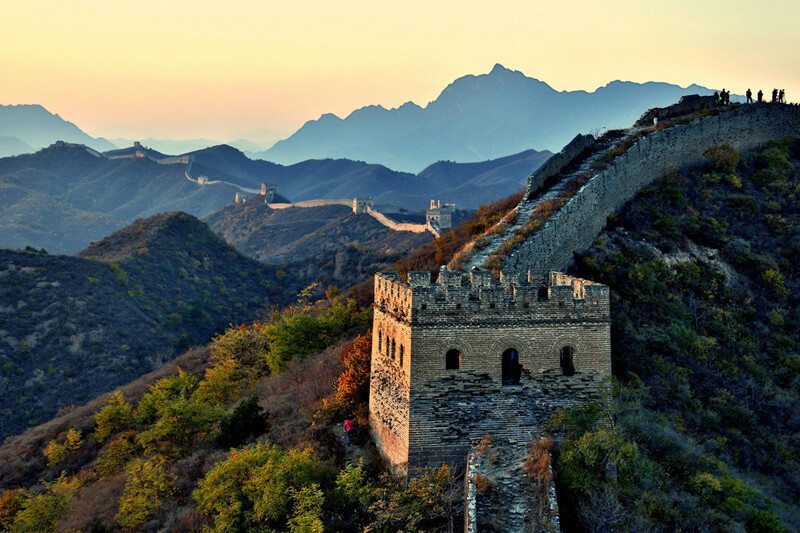 During this 5 days tour, we will have an exciting hiking experience from Huanghuacheng Great Wall to Xishuiyu, Jiankou Great Wall to Mutianyu Great Wall, Gubeikou Great Wall to Jinshanling Great Wall, and Simatai Great Wall. We will camping in the Zhengbeilou Tower on Jiankou Great Wall, have an overall view of the Great Walls in Beijing. We are going to appreciate the beautiful dam of Huanghuacheng Reservoir, enjoy gorgeous sunrise on the Gubeikou Great Wall, hike on the steepest great wall in Beijing, visit the longest wall in China, and experience different cultural activities at Gubei Water Town. Then the guide and driver take you to have lunch. After lunch, drive to Jiankou Great Wall. Sleep in Zhengbeilou Tower on Jiankou Great Wall for overnight. We’ll prepare the necessary camping facilities such as tents, sleeping bags, etc. You don’t need to prepare anything for the camping. Wake up early in the morning to watch the sunrise. After breakfast in Zhengbeilou Tower, we start the hike. We start the hike from Xizhaizi village, you will experience the best unrestored wild Great Wall. Firstly, your guide takes you to Zhengbeilou Tower (the highest tower on Jiankou Great Wall) which takes about 1 hour by walking through the mountain path. Later, you will take a ladder up to Zhengbeilou Tower, which features some amazing ruins and scenes of rustic beauty. Midway through the hike to Mutianyu Great Wall, you will cross the mountain. You will pass about 17 towers (about 8 towers on Jiankou section and about 9 towers on Mutianyu section) with about 3 hours for the whole hiking on the Great Wall. So you could enjoy the beauty of both section of the wall – natural and well-preserved wall. Finally, you have 3 choices to come down: 1.Cable car 2.Walk way 3.Tabbogan. Today’s hiking begins at around 9:00 am. After breakfast, we start the tour. We start the hike from Gubeikou Great Wall, and we will hike about 11 towers and reach 24- Window Tower which takes about 1 hour. 24 – Window Tower is the end of Gubeikou section for this hiking tour. As some part of the Gubeikou Great Wall belongs to the army, so we should come down from 24 – Window Tower and go cross the bushes, which takes about 1.5 hours to cross the mountain. Then we will arrive at the Jinshanling Great Wall. 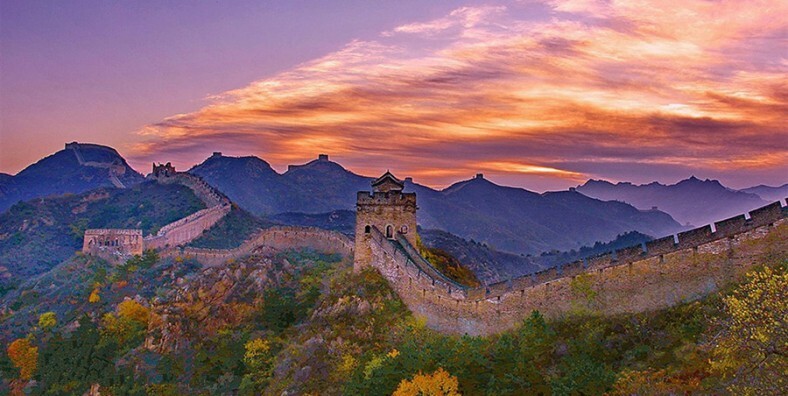 Jinshanling Great Wall is a UNESO Heritage site and has most magnificent scenery around the wall. You will pass through Taochunkou Pass, West Five – Window Tower, Zhuanduokou Pass, etc. About 7 towers with about 1 hour hike on Jinshanling section, come down from Zhuanduokou Pass. Then the guide and driver take you to have lunch. After lunch, transfer back to Gubeikou village. Today’s hiking begins at around 9:30 am. After breakfast, we start the tour. 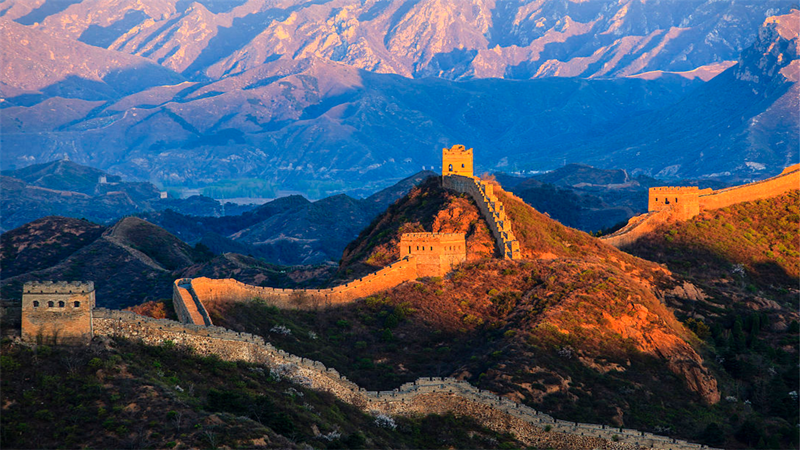 Firstly, hike total 10 towers with about 2 hours on the Simatai Great Wall. 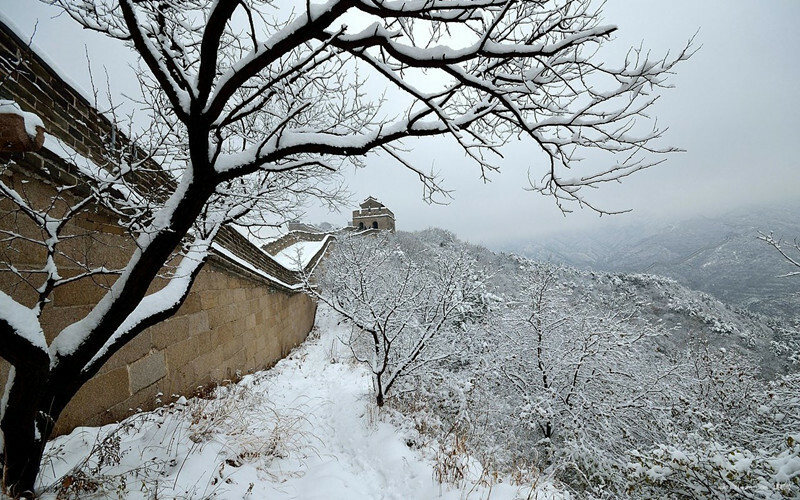 The Simatai Great Wall is situated at Gubeikou Town, It stretches 5.4 km from Wangjinglou (Tower for Viewing the Capital) in the east and connects Jinshanling Great Wall in the west. It consists of 35 watch towers and still retains the original architecture feature of the Ming Dynasty. Simatai Great Wall was listed as World Cultural Heritage by UNESCO in 1987. The Simatai Great Wall incorporates a variety of styles of other parts of the China Wall, but also display some unique features. After lunch, visit Gubei Water Town. The Water Town covers an area of 9 square kilometers including reproduced cultural streets, accommodation, restaurants etc. There are four guesthouses and 2 hotels to accommodation visitors. You can spend as long as 2 days in the town with many cultural activities. Hike level is about 2. After the tour, transfer back to the inn. You could climb up to the great wall or you could take cable car up to the great wall. We suggest you climb up to the great wall as this section is easy to hike. We start the hike from Zhuanduokou Pass, we will hike over 15 watch towers (about 5 km) and arrive at East Five – Window Tower which takes about 4 hours, come down from the East Five – Window Tower. Or we could just hike about 4 km and arrive at Houchuankou Pass which takes about 3 hours, come down from the Houchuankou Pass.